Interior CS Fred Matiang’i has defended the recent directive to cut down Nairobi Governor Mike Sonko’s security detail. Last week, the Governor’s security detail was reduced from 26 t0 five in a drastic government directive aimed at scaling down the level of VIP protection to bolster security in the country. 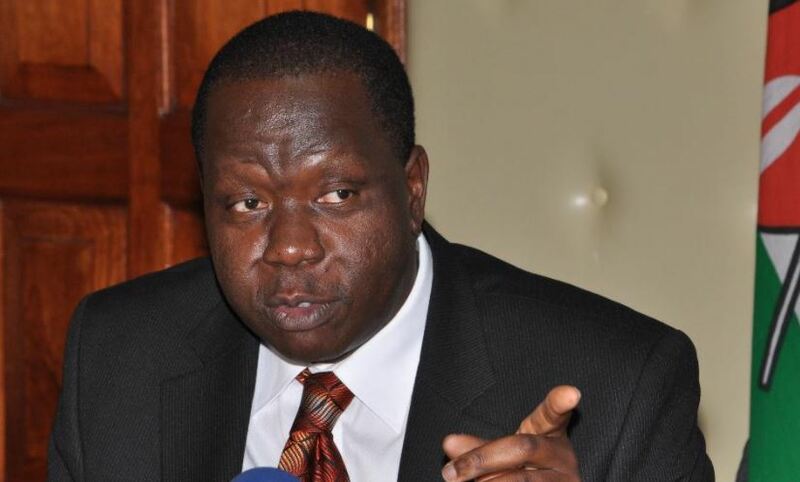 Speaking on Monday, Matiang’i maintained that the withdrawal is in line with the National Security Committee (NSC) recommendation of five bodyguards for every governor. “No politician deserves to be protected by 26 policemen,” said the CS. Matiang’i was speaking during an event by IPOA where it was handing over its end of term report. He urged politicians to support the radical changes that are being made by the police service. The withdrawal is part of a plan to recall 5,000 officers “irregularly” attached to VIPs and redeploy them to serve the ordinary citizens. At the same time, the government is also rethinking who is a VIP and who deserves to have bodyguards deployed to them for extra security. “Once we figure out who is a VIP and who is not, then the number will be higher which means more police for the general public,” said Ministry of Interior spokesman Mwenda Njoka.